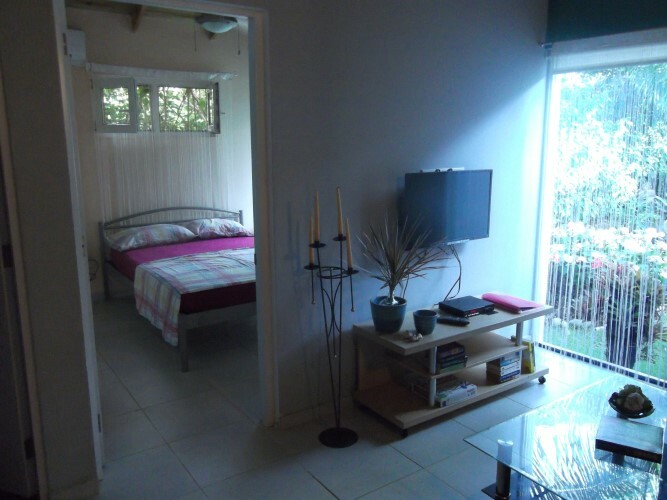 This is a property that you can generate an attractive income by renting out the whole property, or renting out the modern first floor studio apartment for US 600 a month, and the newly built stylish guest house with a large private terrace with its own swimming pool at the end of the garden for $750 a month. 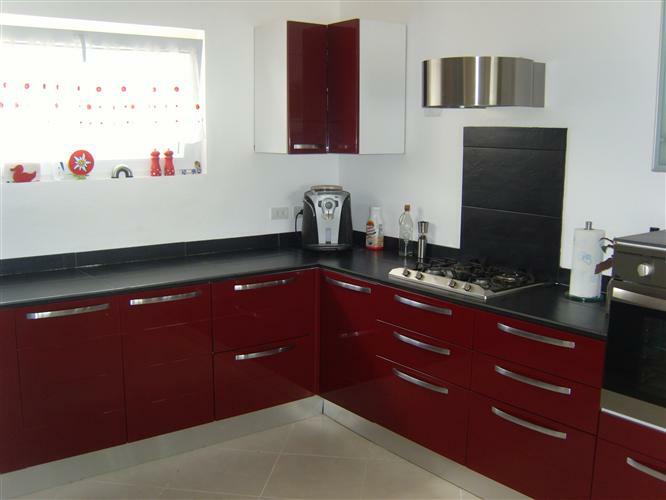 It could have its own access and be sold as a lovely two bedroom villa. 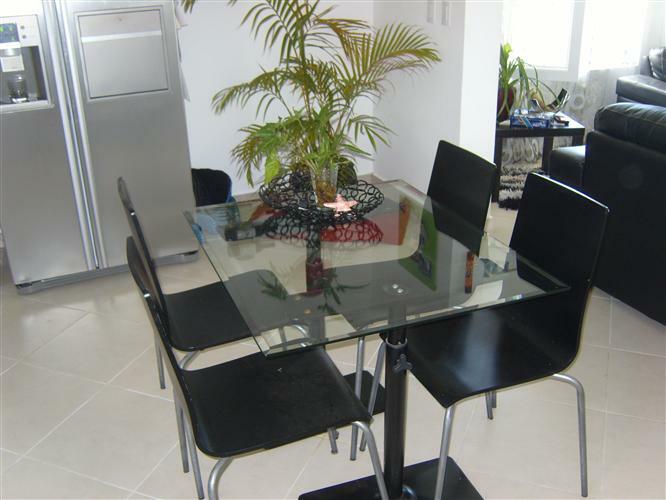 The dining area comprising a glass table with four black and stainless steel chairs compliments the rest of the spacious living area. 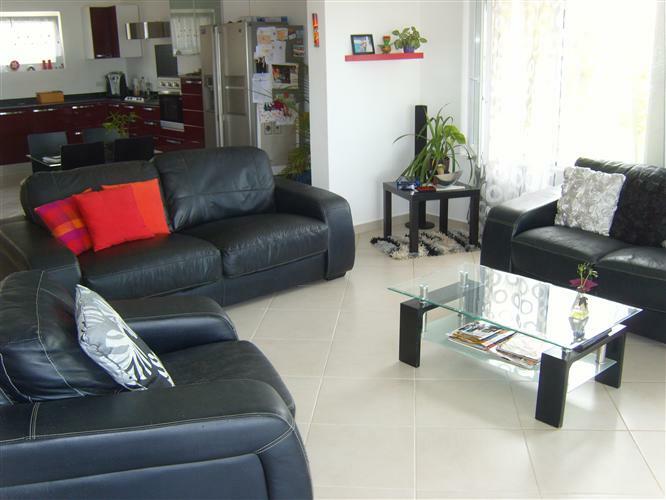 The lounge area is very attractively furnished with red cushions and black leather settees and an arm chair, with two tall floor standing white lamps, and large patio doors which glide open to reveal a large terrace with a gas barbecue and dining area and a beautiful large raised pool set to the right. From here you can relax and savour those beautiful Caribbean sunsets. The Master bedroom is very sophisticated, with its soft lilac walls purple silk bed covers and a large flat screen plasma TV by the bed, and a white finished oak fitted closet, with soft grey glass sliding doors, very spacious! 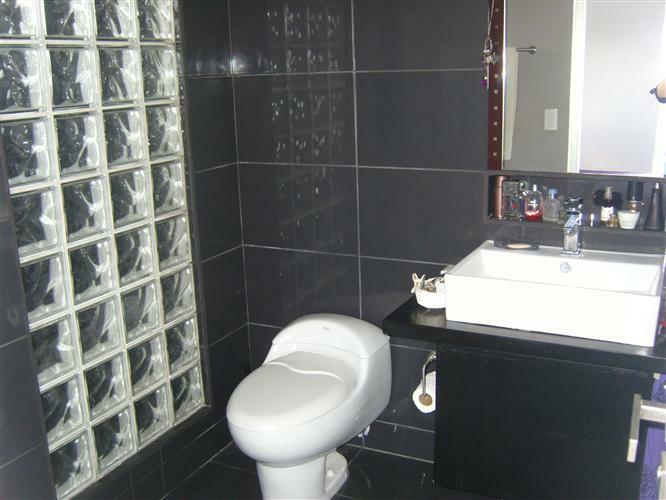 The ensuite has charcoal tiles on both walls and floor and a white toilet and basin and a pretty sculptured vanity mirror and elegant lighting. The Guest bedroom has a colour scheme of white, grey intense green and pink harmonize well and the ensuite bathroom which has grey tiles white units, glass shower divider and pink accessories. Downstairs, is a large two car garage with work shop space, and a room for the pool pump, domestic water pump and timer for watering the garden plus a 600 gallon water tank, and four batteries and an inverter. 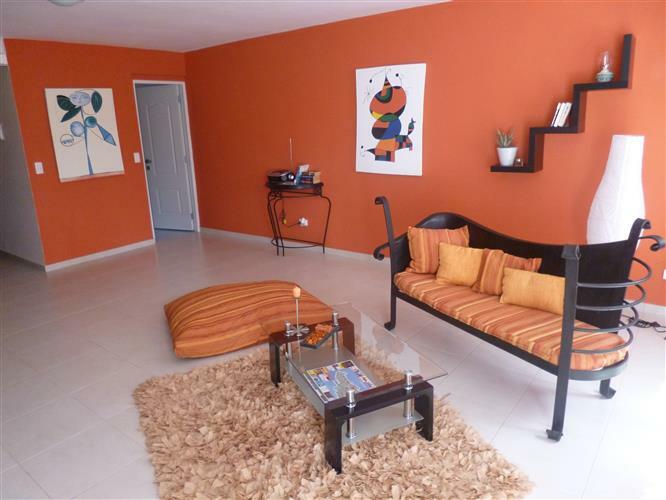 Next to the garage is a delightfully modern 35 sq meter studio with an orange wall and a silk screen flower print which opens to reveal a double bedroom and bathroom and walk in closet. The room also has a unique black wrought iron settee for two, a shag pile rug and a large potted palm and musical instruments, plus a newly fitted kitchen with a stylish dining area. The laundry area is on the opposite side of the house, and the house itself is set in spacious grounds with palm, hibiscus, chinola and oleander hedges. There are also papaya and banana fruit trees, and even strawberries. 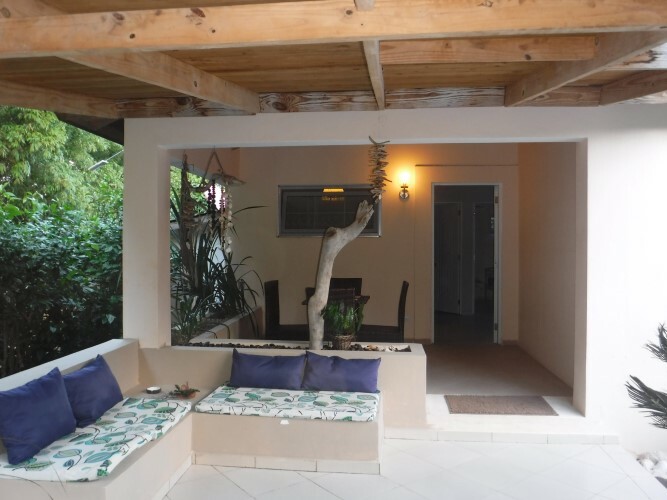 The owner has also added a delightful and stylish one bedroom guest house with tall blue windows, kitchen, modern style bathroom and a large terrace just perfect for dining out with friends in this peaceful and colourful garden. 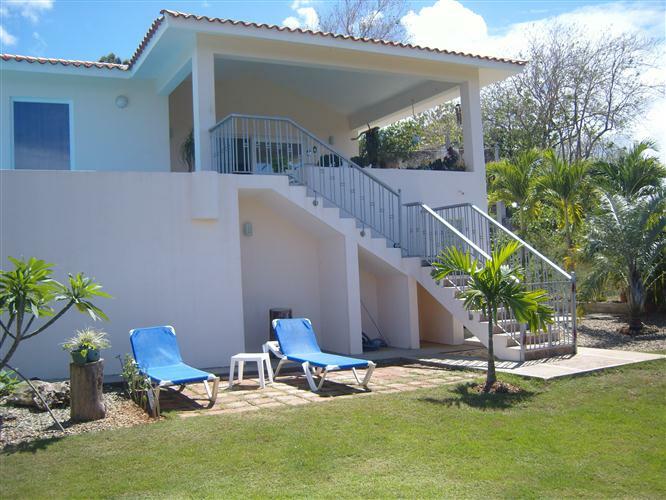 This beautiful Sosua house was built three years ago by the present owners who have undoubted artistic flair with attention to detail that is evident in the craftsman built doors and windows and sensuous use of colours and choice of furniture. 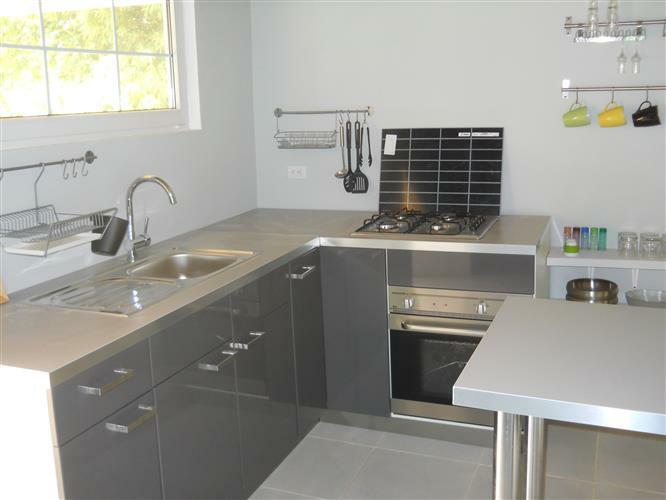 There is even a music studio, and a timer for regularly watering the garden, and a mango wood ‘smokehouse’ for preparing hams, sausages and even smoked salmon. 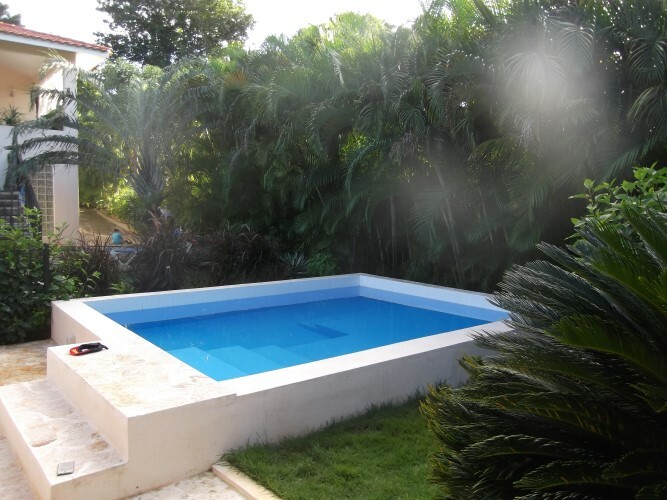 This Sosua house offers so many options including living privately in the two bedroom part with private pool and magnificent terrace with steps down to the garden below; and, renting out the apartment and guest house that are accessed from the side of the house with parking space for 4 or more cars. Sosua town center and Sosua’s beautiful beaches are only a short walk away with public transport at the end of the road to Puerto Plata and the popular resort of Cabarete, world famous for its kite and surf boarding water sports events. 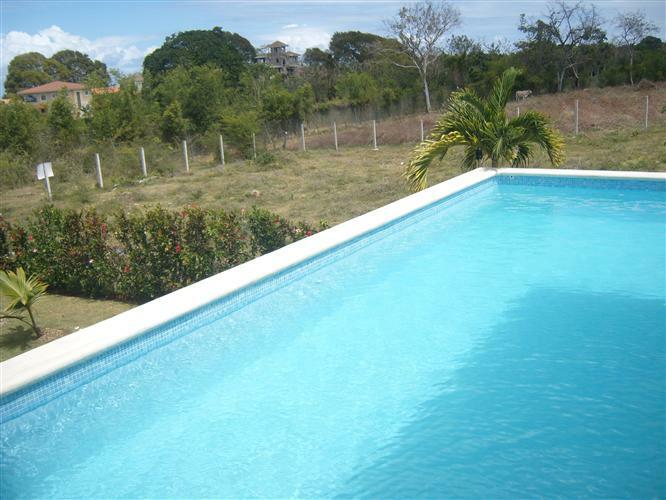 For more details about this exceptional Sosua house and real estate in the Dominican Republic please complete the Request for information box.